Situated in scenic Grottoes, Va., Grand Caverns is the country’s oldest continually operating show cave. This popular natural national landmark is part of the Civil War Trails map and the Virginia Birding and Wildlife Trail, a network of tourist experiences that attract visitors from around the world. A view of the lobby at the Shenandoah Caverns in Quicksburg, Va. The cavern is a major family attraction in the region. While the cave was opened for tours in 1806, giving people the chance to explore this underground destination, there’s been a lot added to the above ground experience, as well. The region itself is a popular spot for hiking, biking and running on scenic trails. There are also picnic shelters, a pool and miniature golf course, as well as beautiful areas for fishing. 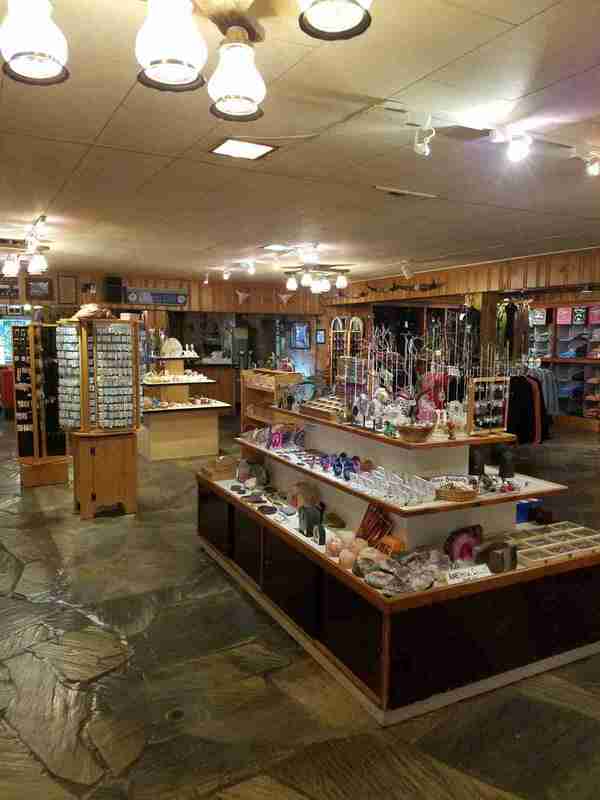 The welcome center, housed in a stone cottage, also features the Grand Gift Shop which is known for its selection of souvenirs, everything ranging from popular T-shirts and educational books, to rocks, minerals and gemstones. Dean says pendants and jewelry featuring different gemstones have become popular for women especially. “We also carry lotions and rock soaps,” she says, while the kids also tend to like the fossil-digging kits and miner helmets. Families especially seem to really like the gem bags kids can fill themselves. Other popular gifts at the shop tend to include magnets with the Grand Caverns image, and mood rings, which have made quite a comeback in recent years. “I’ve recently noticed that guests are preferring souvenirs that showcase Grand Caverns by name or in pictures,” says Dean, “so that they’re able to look back on it later and remember the memories. Also lots of guests are interested in locally made products.” These items can range from jewelry to snacks. 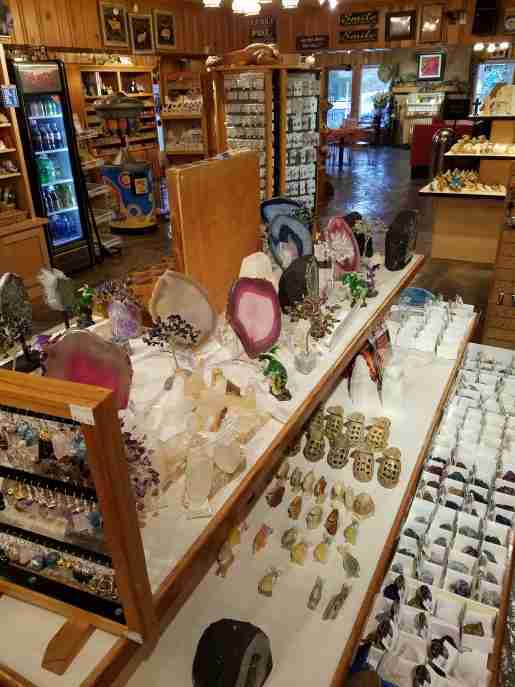 Overall, the shop tries to keep smaller trinkets and gemstones readily in stock throughout the year. These items are particularly popular with a lot of the students who come through with school groups. Dean says keeping a rein on price points that kids can afford is an important consideration they make when selecting any new inventory. 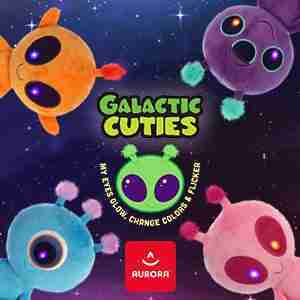 She also pays attention to trends in toys and other gifts. Best-selling snacks tend to meet a few different needs: easy to carry, easy to eat and that they ultimately provide some sort of nutritious value on the go, like nut and fruit-based protein bars. 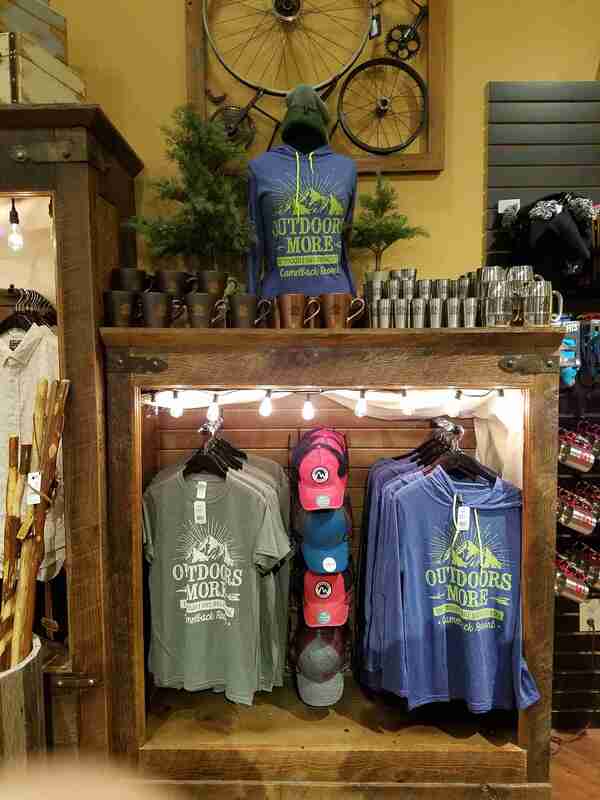 An apparel display at Camelback Resort in Tannersville, Pa. The attraction offers two gift stores. At Penn’s Cave and Hotel, also known as Penn’s Cave House and Long’s Cave in Centre County, Pa., guests have the chance to visit the country’s only natural cave and waterpark. Here, guests glide through all-water limestone caverns entirely by boat. And with a range of activities, like the cave tour and gemstone panning, as well as a miner’s maze and wildlife experience, the destination has become popular with visitors of all ages. Inside the visitors center, a café and gift shop welcome folks with everything from farm-raised bison burgers to memorable souvenirs. Terri Schleiden, one of the directors at Penn’s Cave, says visitors are often pleasantly surprised by how much effort is put into the displays and inventory in the gift shop. While the shop offers a range of jewelry items featuring beautiful gemstones (items that have become popular with younger and older customers), there are still quite a few old standbys that continue to sell briskly, like magnets. Other magnets that are popular tend to feature Penn Cave’s signature mountain lion, the first animal that the destination had when it began wildlife tours, as well as anything with wolves. 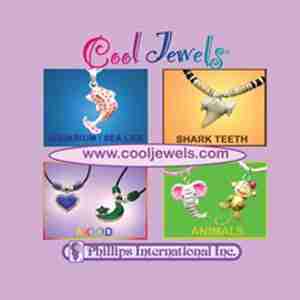 Collector stones and Christmas ornaments are also popular. 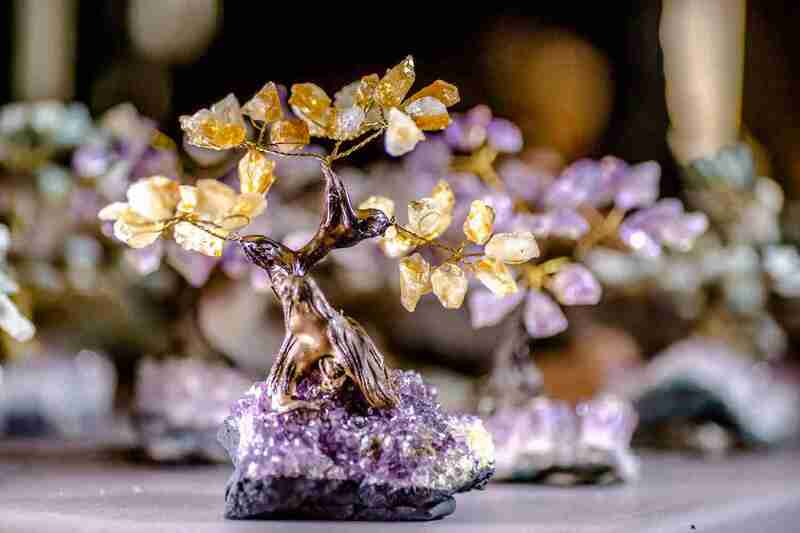 In the last few years the ornaments began featuring more rocks, gems and geodes – something that set them apart from the standard fare at other retailers. 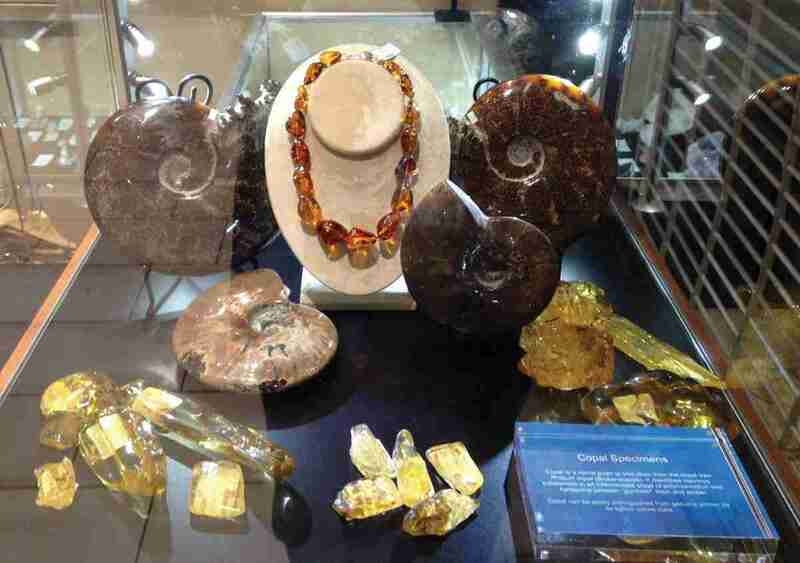 “We’ve really expanded our selections of gems and specimens,” says Schleiden. 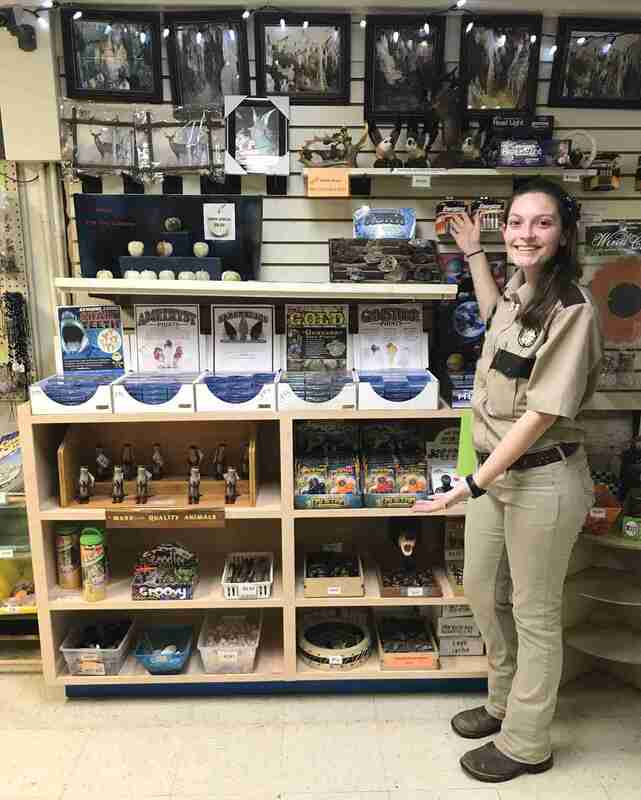 She said parents are especially interested in purchasing items for their children that reflect the experience at Penn’s Cave, and that are educational. The specimens, for example, each come with information cards. Kids also still love the miner hats, which have become popular sellers at most cave and cavern gift shops over the years. A quaint gift shop serves guests to Shenandoah Caverns. While cookbooks are out, local foods are very much in. Schleiden says the gift shop carries a lot of locally produced products, like honey, maple syrup and fudge. These items make great gifts because they reflect the area – you can’t find them elsewhere. Another big seller: apparel. Because the temperature inside the cave is a constant 52 degrees, it’s not unusual for guests to grab a sweatshirt or hoodie before taking a tour. “We try to keep up with trends in apparel,” she says, by paying attention to current designs and colors. Some of the more popular colors are black, grey, navy and maroon, though the shop sells its share of purple sweats and tees. “Hoodies, of course, are very popular,” says Schleiden. Depending on the age, she says that younger customers are looking for something more colorful and a little more intricate in terms of design, whereas older shoppers are often attracted to classic designs that tend to be unisex – sweatshirts, for example, with simple block letters. “More men are more inclined to wear purple sweatshirts or hoodies,” she says. And for kids, the shop carries glow-in-the-dark tees that are affordably priced. “We’re really looking for quality and price points,” says Schleiden. At Camelback Resort in Tannersville, Pa., a small enclave in the bucolic Pocono Mountains, a waterpark, zip line, roller coaster and ski slopes attract thousands of visitors each year. This year, USA Today even voted Camelback’s indoor waterpark as the number one in the nation. Because many guests at the resort tend to take advantage of lodging in the area (Camelback itself actually has its own lodge and other convenient real estate rentals), the gift shops (there are two – a World Bazaar and Relic Retail) are stocked with fun gifts and great gear by the season. 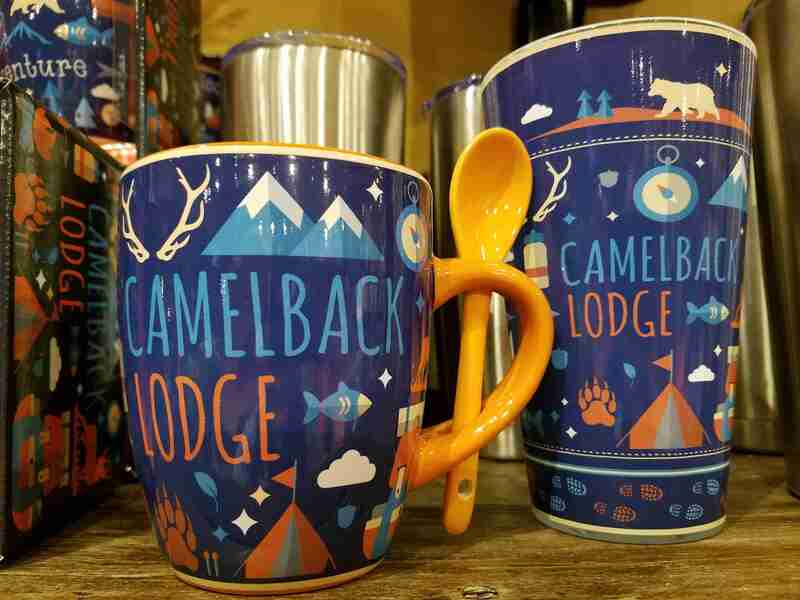 After all, Camelback is as much a winter destination as it is a summer getaway, and the items being sold reflect the full circle adventure. Colorful Camelback Resort mugs. The two stores at the resort are stocked with fun gifts and great gear. The World Bazaar at Camelback was designed to honor the trading posts of the East with a selection of specialty apparel and custom gear with the Camelback name and logo, as well as jewelry, trinkets and other stylish mementoes. In the summer, there’s also plenty of great summer splash wear displayed near a café that serves coffee drinks and sweets that are baked fresh on site. There’s something about the aroma of cookies and cakes that may even encourage guests to splurge a bit at the Bazaar. 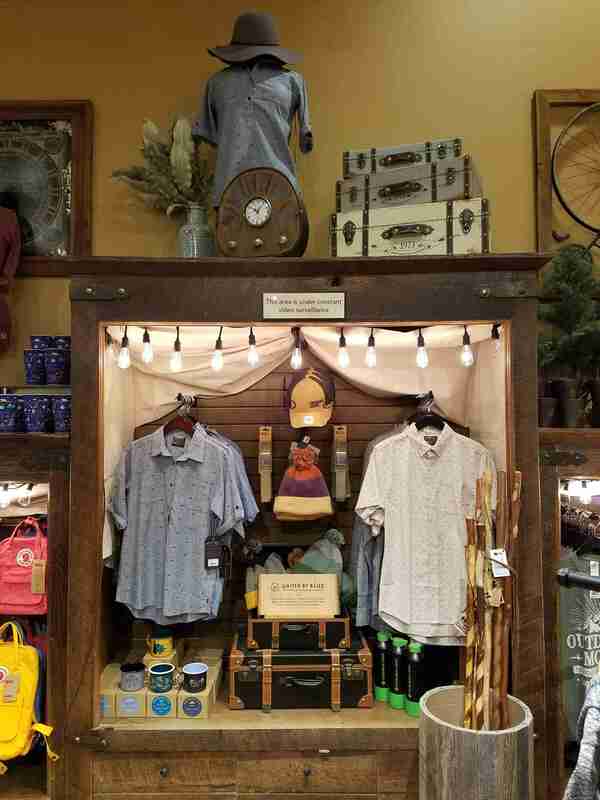 Meanwhile at the Relic Retail shop, items that guests can wear and use throughout their stay are creatively displayed in the style you might find along the boardwalk. Travel items like beach towels and sunglasses are among the more popular items, along with even more hats and shirts (clothing is a big seller here). The Relic is also where guests stow away items in private lockers or retrieve beach towels, making it a heavily trafficked spot at the resort which bodes well for sales. Tourists have been visiting Shenandoah Caverns in Quicksburg, Va., since it first drew acclaim more than 90 years ago. While today’s experience now comes with elevator service (a far cry from the deep climbs down the first guests made), the cavern is still much the same as it’s always been – a major family attraction in the region. Over the years different attractions have been added to the experience, like an American Celebration and parade, and a replica pirate ship. But the heart of the cave – with sites like the famous so-called “breakfast bacon” featured in National Geographic magazine – draws many people “down under” each year. In fact, there were some big changes this past winter, said Meadows, including a better overall organization of the shop. “We have noticed over the years that sometimes all you have to do is move things just a little and it can make a big difference in sales,” he explained. 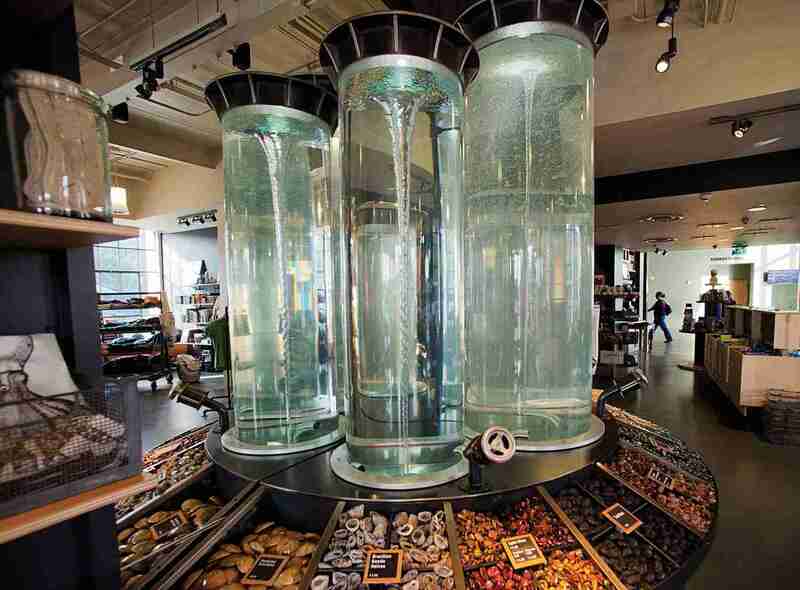 And while every gift shop is different, even, said Meadows, from cavern to cavern, certain things seem to stay the same – like knowing customer tastes and treating guests well. He also said a lot can be gained from learning from mistakes. With Camelback serving as both a winter destination and a summer getaway, the items sold in the resort’s two stores reflect the seasons. 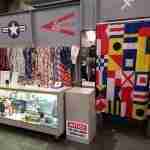 Shown is a display highlighting apparel.